Tata Motors T1 Prima Truck Racing 2016 Season 3: Recently Tata Motors announced Season 3 of the T1 Prima Truck Racing Championship 2016. It is scheduled to be held on March 20, 2016, at India’s globally renowned F1 race track – the Buddh International Circuit (BIC), Greater Noida. 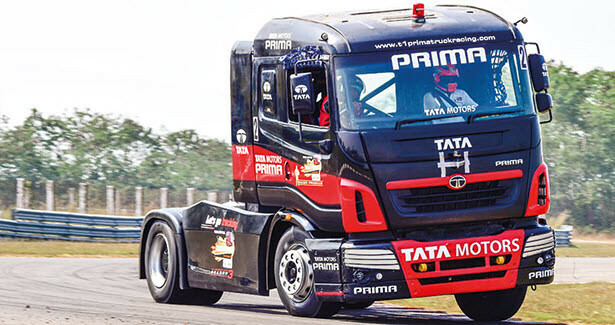 This is the first time Indian truck drivers are going to participate in Tata Motors T1 Prima Truck Racing. The championship will continue to host experienced international drivers representing six teams, featuring 12 Tata PRIMA race trucks built for the purpose. Check out the complete list of details, Live Video, Tickets and Passes for Tata Motors T1 Prima Truck Racing 2016 Season 3 from the below article. The Truck Racing Championship is organized by MMSC (Madras Motor Sports Club) and is inscribed on the calendars of FIA (Federation Internationale de l’Automobile) and FMSCI (the Federation of Motor Sports Clubs of India). There will be two categories on race day – Super Class and Pro Class. In the Super Class, 12 drivers who have been shortlisted from the final round of the T1 Racer Program will compete for the title. The Pro Class, like last year, will comprise of 12 international race truck drivers. Season 3 of the Tata Motors T1 Prima Truck Racing Championship 2016 is scheduled to be held on March 20, 2016, at India’s globally renowned F1 race track – the Buddh International Circuit (BIC), Greater Noida. Click the below link to watch the live streaming videos of T1 Prima Truck Racing Season 3 2016. Click the below link for Ticket related inquiries and information and passes of T1 Prima Truck Racing Season 3 2016. Hope you bro’s, You can like this Tata Motors T1 Prima Truck Racing Championship 2016 Live Videos, Tickets, Passes and more details article. If you like this, Then please share it to your friends.